At just $200, Amazon’s Kindle Fire is less than half the price of the cheapest iPad—and to an extent, early reviewers of the Fire say, you get what you pay for. Then again, you’re still getting a lot of entertaining bang for your two-hundred bucks. Update: Check out my own hands-on with the Kindle Fire right here. But a few pre-release reviews are already trickling in, and the consensus seems to be that the Fire is still a little rough around the edges: a bit too thick and solid, “sluggish jerky” when it comes to graphics, limited in the memory department (just 8GB, versus a minimum of 16GB for the iPad), and lacking key features like speedy 3G support (meaning you’ll need a Wi-Fi connection to go online), GPS, and a camera or microphone (so no video chat). That said, reviewers say, the Fire has an ace up its sleeve: its $200 price tag, making for one of the best tablet bargains now on the market, warts and all. The Fire is also winning praise for its ability to tap into your digital “locker” on Amazon.com, which turns the modest tablet into a Wi-Fi-connected treasure chest of seemingly limitless entertainment—although to take full advantage of the Fire’s online services, you’ll need to shell out $79 a year for an Amazon Prime membership. The Kindle Fire is quite an achievement at $200. It’s a perfectly usable tablet that feels good in the hand and has a respectably good looking display up front. Yes, power users will find themselves a little frustrated with what they can and can’t do on the thing without access to the Android Market but, in these carefree days of cloud-based apps ruling the world, increasingly all you need is a good browser. That the Fire has. Take an iPad, solve its two biggest problems, and you’d hope to wind up with something exactly like Amazon’s Kindle Fire. The iPad has a 10-inch screen and costs a minimum of $499. The Fire slips into many pockets and purses and will set you back just $199. Its designers started off with a fundamentally good idea, executed that idea extremely well (despite a few 1.0 hiccups), and wound up with a product that fills a sorely-felt gap in the marketplace. The Fire deserves to be a disruptive, gigantic force — it’s a cross between a Kindle and an iPad, a more compact Internet and video viewer at a great price. But at the moment, it needs a lot more polish; if you’re used to an iPad or “real” Android tablet, its software gremlins will drive you nuts. This isn’t an iPad killer … [but] there’s no question that the Fire is a really terrific tablet for its price. The amount of content you have access to — and the ease of getting to that content — is notable to say the least. The device is decently designed, and the software — while lacking some polish — is still excellent compared to pretty much anything in this range (and that includes the Nook Color). It’s a well thought out tablet that can only get better as the company refines the software. It’s not perfect, but it’s a great start, and at $200, that may be all Amazon needs this holiday shopping season. The Kindle Fire is not the best tablet I’ve seen this year, but I have to give credit to Amazon for seeing something that no other manufacturer–not even Apple–was able to grasp. When you look at the gap between what tablets are capable of doing, and what people actually use them for, you’ll find that most people just want to be entertained. 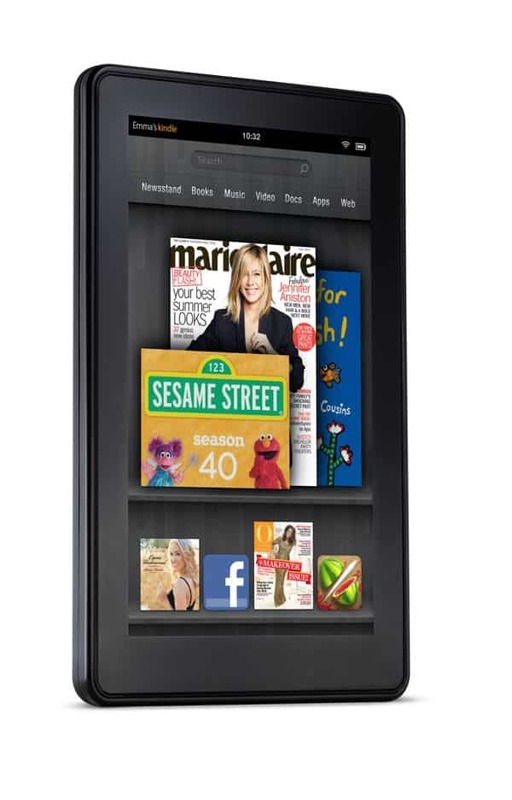 The Kindle Fire is here to entertain us, and at $199, I suspect many will take Amazon up on the offer. If you need a tablet that can keep up with your jet-setting, spreadsheet-editing, video-chatting lifestyle, I can point you to a few dozen better options. For the rest of you, read on. As for me, I’ll have to wait like everyone else to get my hands on the Kindle Fire; once I do, though, I’ll post my own review. So, what do you think: Would you consider the smaller, less-polished but cheaper Fire over the larger, peppier, but pricier iPad?